"By every measure, persons with disabilities disproportionately and inequitably experience morbidity and mortality associated with unmet healthcare needs in every sphere. Minorities with disabilities are doubly burdened by their minority status." – "Assuring Health Equity for Minority Persons with Disabilities. A Statement of Principles and Recommendations." A recommendation report from the HHS Advisory Committee on Minority Health. July 2011. People with disabilities are a recently recognized population1 affected by health disparities. Why does this happen and what can be done to address the needs of this underserved group? WHY ARE THERE HEALTH DISPARITIES FOR THIS GROUP? • Limited – or no – disability awareness on the part of providers Studies have found that people "with disabilities are more likely to be unemployed, impoverished, have less than a high school education, and have higher levels of risk factors such as obesity, smoking, and being physically inactive. "4 This is true for children, youth, and adults. Access to primary care and prevention/wellness, including immunizations for vaccine preventable disease, is the key to best health outcomes for people with disabilities. People with disabilities "are less likely to receive preventive care and health screenings despite being at a higher risk for many chronic conditions and illnesses. "6 Often, the focus is on the person&apos;s disability or special healthcare condition rather than wellness; yet screening, immunizations, and prevention will be cost effective and improve outcomes. Since they often see specialists, people with disabilities may not have a "medical home" and miss the care coordination that occurs in primary care. The Center for Disease Control and Prevention (CDC)&apos;s Building Healthy Inclusive Communities initiative recognizes that "creating opportunities for healthy, active living by people of all abilities is a priority as we plan our communities." It is noted that 1 in 5 people have a disability. The initiative has covered topics such as physical activity, accessible streets, etc. There is also information on the CDC website, "Disability and Health." This section includes disability inclusion, healthy living, and resources for caregivers. "Access to primary care and prevention/ wellness, including immunizations for vaccine preventable disease, is the key to best health outcomes for people with disabilities. Often, the focus is on the person&apos;s disability or special healthcare condition rather than wellness"
The Maternal and Child Health Bureau also focuses on this issue through AIM: The Alliance for Innovation on Maternal and Child Health, which seeks to expand access to care for maternal and child health populations including children with special healthcare needs. 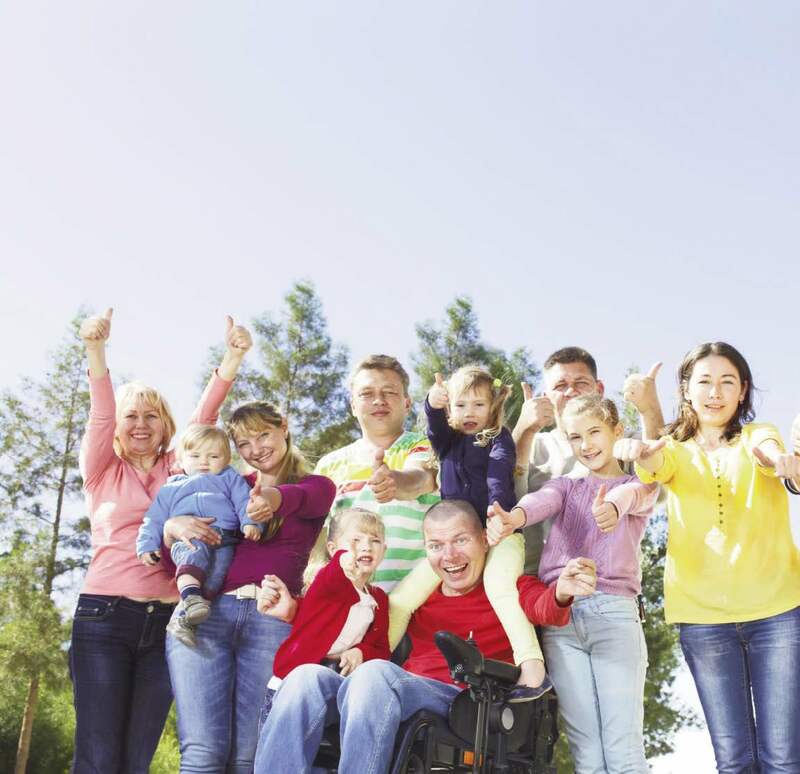 Family Voices ("keeping families at the center of children&apos;s healthcare") is a partner in the MCHB AIM grants to provide the family perspective and to share best practices in health promotion for children and youth with special healthcare needs. Family Voices&apos; "Impact" goal is to promote a holistic, culturally relevant approach to health and wellness for all families and children including those with special healthcare needs. Their Impact website includes tools such as a Well Visit Planner and Bright Futures guides.